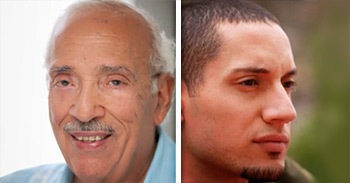 Hip-hop artist Omar Offendum joins Dr. Maher Hathout for an intensely personal conversation about the meaning of manhood, and what it takes to be a strong, pious, and courageous man in this day and age. Omar Offendum is a Syrian-American Hip-Hop artist – born in Saudi Arabia, raised in Washington DC and living in Los Angeles. He has been featured on several major news outlets (Aljazeera / PBS / LA Times / Rolling Stone / The European), toured the world to promote his ground-breaking music, helped raise thousands of dollars for various humanitarian relief organizations, lectured at a number of prestigious academic institutions, and most recently been involved in creating several critically-acclaimed songs about the popular democratic uprisings throughout the Middle East & North Africa. He is currently hard at work on several new projects while touring to promote his solo release ‘SyrianamericanA‘. You can check out Omar Offendum’s website, and buy his music on iTunes.